Los Angeles, CA (September 5, 2018) —To commemorate its founding in 1988 as a museum dedicated to telling the diverse stories of the American West, the Autry will hold its 30th Anniversary Celebration on October 13, 2018 on its Griffith Park campus. The event honoring late museum founder Gene Autry will feature a private concert by Grammy-award-winning recording artist Willie Nelson. In addition to this special performance, festivities will include a cocktail reception, an elegant dinner, and dancing under the stars with Lukas Nelson & Promise of the Real. Gene Autry will receive a very special tribute as Founder of the museum. Autry founded the museum—then the Gene Autry Museum of Western Heritage—with wife Jackie Autry and dear friends Joanne and Monte Hale. With its opening, Autry realized his dream "to build a museum which would exhibit and interpret the heritage of the West and show how it influenced America and the world." Now attracting between 150,000 and 250,000 visitors each year, the Autry in Griffith Park presents a wide range of special exhibitions and public programs that explore the art, history, and cultures of the American West. Known as “America’s Favorite Singing Cowboy,” Gene Autry was a legendary entertainer whose career spanned over 60 years in the entertainment industry as a recording artist, actor and producer. He is the only entertainer to have five stars on the Hollywood Walk of Fame. He was also an astute businessman, chairman of the board of a broadcasting empire, and owner of the Angels Major League Baseball team. 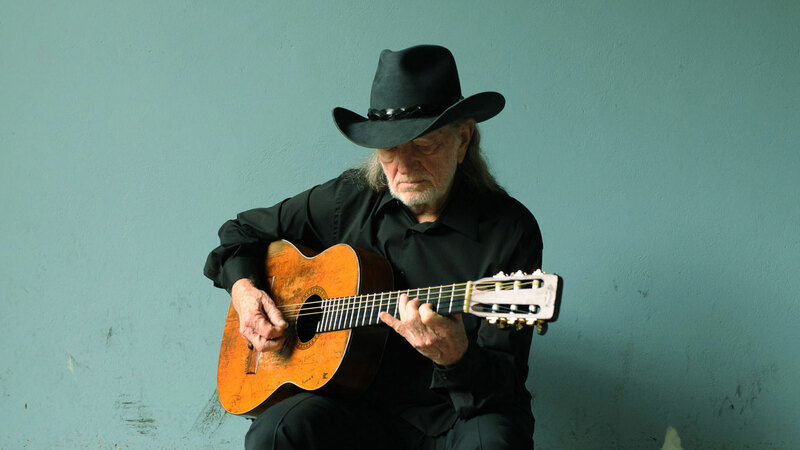 World-renowned country music singer-songwriter Willie Nelson has won 11 Grammys, including the President’s Merit Award, Grammy Legend Award, and Lifetime Achievement Award. He was inducted into the Country Music Hall of Fame and received a Kennedy Center Honor and the Library of Congress Gershwin Prize for Popular Song. He also co-founded Farm Aid, which raises money for family farmers in the U.S. After-party entertainment will be provided by Lukas Nelson & Promise of the Real, an American rock group led by singer, songwriter, and guitarist Lukas Nelson. Their self-titled album, released in 2017, embodied cosmic country soul and hit #1 on the Americana Radio Charts and earned the band their first Americana Music Awards nomination for Duo/Group of the Year. During the cocktail reception, attendees will enjoy exclusive access to see two current exhibitions, LA RAZA and Rick Bartow: Things You Know But Cannot Explain. LA RAZA looks at the photography of the influential 1960s/70s bilingual newspaper La Raza which served as an important voice for the Chicano Rights Movement and documented key moments, members and symbols of the movement. Rick Bartow: Things You Know But Cannot Explain offers a comprehensive retrospective exhibition on this contemporary American artist and member of the Mad River Band Wiyot tribe. Two of the Autry’s core galleries, Art of the West and Ted and Marian Craver Imagination Gallery, will also be open for the evening. Art of the West explores how the West inspires the works of artists from different cultures and times. Imagination Gallery shows how the Western genre has evolved in response to social and cultural changes taking place in America. For sponsorship and ticket information, please call 323.495.4331 or visit TheAutry.org/Celebrate. Proceeds from the 30th-Anniversary Celebration benefit the Autry's many on- and off-site educational programs, and research. The Autry’s educational programs serve tens of thousands of children and their families and teachers each year.